While some kids enjoy spinning on the grass and then tumbling down afterward, having vertigo as an adult is never a pleasant experience. We see many patients with vertigo, which can arise due to barometric pressure changes from the storms that have been coming through the area. 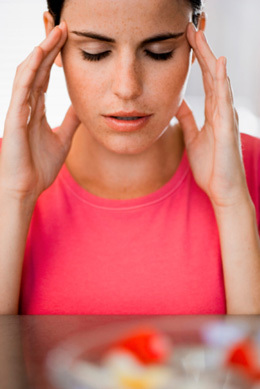 Other causes of dizziness include inner ear disorders, injury to the head, migraine headaches and more. Staying cooped up inside can easily make people experience emotional stress. When I think of emotional stress, I think of people raising their shoulders which causes those muscles in their neck to tighten up. That’s a big reason why we see a lot of vertigo cases. Also, a higher number of mechanoreceptors are cueing the pressure changes in our neck. That’s why we see more subluxations in the neck area. If the atlas, the first bone in your neck which also supports your skull, is out of alignment, your head can be off center. Vertigo can then occur. By adjusting the atlas, we have had incredible success. We’ve had patients come in who were ready to throw up at any time, and we’re able to help them. Chiropractic indeed has changed the lives of many vertigo patients. One patient is a woman who was suffering from the condition for 20 years. Since she’s received chiropractic care, she hasn’t had any vertigo since. If you’ve been putting up with vertigo and want to stop the spinning, we want to help you. Contact Adjusted Life Chiropractic today to book an appointment!